Free Willy is now a true story. A huge step forward for Global Goal 14. 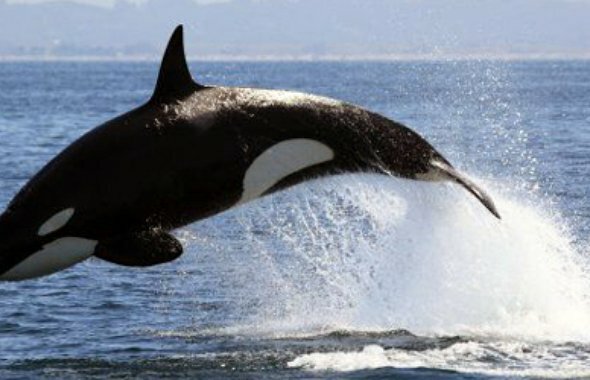 SeaWorld is ending captive breeding for Orca whales. Finally, an end to all Orca shows in the next three years. The Netherlands Nutrition Center issued a recommendation that people should not eat more than two servings of meat a week. According to National Geographic, it’s the first time that a nutrition centre has placed a hard limit on the amount of meat a person should consume. Ending world hunger is possible. Believe it or not, it's not too big of a problem to solve. In fact, it has improved dramatically in just the last 30 years. Indeed, 193 countries committed to end hunger through the Global Goals and international institutions, determined to end extreme poverty and hunger by the year 2030. A stop to drilling plans in the Atlantic marks an environmental turning point. The United States Interior Department withdraws plans to drill off the southeast Atlantic coast, opening up a new chapter of US energy policy that keeps oil, coal and natural gas in the ground. Achieving the Paris climate pledge is nearly impossible without the shipping industry. The Sustainable Shipping Initiative releases its roadmap for delivering a sustainable industry by 2040. Drones are engaged to fight infectious diseases. In Ethiopia drones are prepared to drop sterile male tsetse flies to decimate their population, and thereby reduce trypanosomiasis, which causes "sleeping sickness". Now let's hope they learned from operation cat-drop. Coal in Brittain is drawing its final breaths before an inevitable death. The lifeblood of the British economy for more than two centuries is now a terrible burden on the climate. The question is: how long will this industry still survive? Agenda for Humanity: five key actions the world needs. Not since the Second World War have global humanitarian needs been so high. The UN outlines 5 concrete actions to improve the lives of some 125 million people whose lives have been devastated by conflict and disaster. Nuclear reactors are going through a small revolution. After decades of building giant reactors in domes big enough to swallow a cathedral, nuclear engineers are thinking small. 23 meters in diameter small. Predictions in climate disasters are measured in hours. Increasing the prediction window will save millions of lives. Now, scientists have discovered that ocean waves and temperatures can predict extreme summer heat weeks in advance. Europe’s largest floating solar power farm is soon to be completed on a vast man made lake on the outskirts of London. This project will generate enough electricity to power the utility’s local water treatment plants for decades. We are living in "the age of big data," according to The World Economic Forum. As the likes of Google, Facebook, Adobe Systems, and IBM embrace big data with gusto, startups are also popping up with the promise to help companies discover what one of the most valuable assets in the world can accomplish for them. However, the key factor that will determine success for companies in this age is not simply big data, but big science. Are European urban spaces becoming more exclusive? From regeneration and grassroots activism to privatisation and security, public space in Europe’s cities is shaped by a variety of urban developments. Criticism arises around ethical implications of a competition to design borders between two countries. The primary question raised is: Is participating in a design competition for a wall along the U.S.-Mexico border a good idea? The last time Edinburgh adopted a citywide speed limit was 1934, and the number was 30 mph. Now, the city is rolling out a plan to cap the speed limit at 20 mph across 80 percent of its roads. The speed limit change is an explicit move to encourage walking and biking, especially in the city center. After 88 years a president from the United States has arrived in Cuba for a historic visit to the island and talks with its communist leader. Mr. Obama met president Raul Castro - but not retired revolutionary leader Fidel Castro. Changes to the boycott are on the horizon. Honduran indigenous and environmentalist Berta Cáceres was murdered last month, barely a week after she was threatened for opposing a hydroelectric project. Best science stories of 2015: Alzheimer's research, human brain-to-brain communication, water on Mars. Here are some of our favourite scientific achievements for 2015. Film: Documentary Requiem for The American Dream. With Noam Chomsky, profoundly personal and thought provoking, Chomsky provides penetrating insights into what may well be the lasting legacy of our time - the death of the middle class, and closure of functioning democracy. Book: Adventures in the Anthropocene: A Journey to the Heart of the Planet We Made by Vince Gaia. Struggling with obscurity on global issues in her role as an editor at Nature, Gaia Vince decided to travel the world and see for herself what life's really like for people on the frontline. What she found was a number people doing the most extraordinary things. Event: BusinessGreen Leaders Forum. 26 April 2016; Explore the scale of the environmental risks faced by UK firms' supply chains and explore the best practices that can help to manage and mitigate such risks. Workshops: Learn about aquaponics at Wageningen University. This workshop series is to both share the deeper theory of aquaponics and methods used in designing aquaponics systems. See a news item suited for Wormfood, or a theme for a newsletter? Let us know!